Orchard Hills Golf Course becomes the newest addition to the Geauga Park District. How often is a golf course allowed to revert to its natural state after it ceases operations? Almost never. But that is exactly what happened in Geauga County, thanks to a partnership between conservation-minded landowners, a park district, government entities and the Land Conservancy. 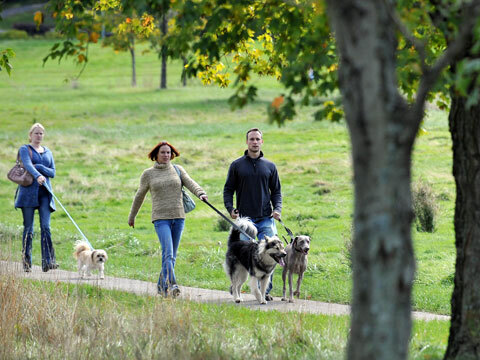 Instead of becoming a housing subdivision or a commercial site, the 237-acre former Orchard Hills Golf Course in Chester Township is now Orchard Hills Park, one of the newest additions to the Geauga Park District. 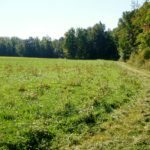 Starting in 2007, the Land Conservancy and the park district worked with a variety of partners to secure funding for the former golf course property and purchase it from the Patterson family, which owns the adjacent Patterson Fruit Farm. The park and fruit farm share a parking area. 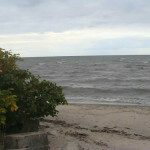 From there, visitors can get a rare view of Lake Erie from Geauga County. The former cart paths now draw walkers, bicyclists and nature-lovers. “It has rapidly become one of our most popular parks,” says Keith McClintock , deputy director of the park system, who praised the Land Conservancy’s work to acquire the property. 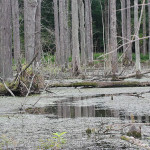 The largest funding source for the project was the Ohio Environmental Protection Agency’s Water Resource Restoration Program; the Northeast Ohio Regional Sewer District sponsored the Land Conservancy’s applications. The project also received strong backing from state Sen. Tim Grendell, U.S. Rep. Steven LaTourette and U.S. Sen. George V. Voinovich. 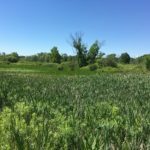 A portion of the WRRSP grant will be used to restore many of the streams on the property that were culverted, filled and dammed when the golf course was developed in the early 1960s. These impaired streams were creating erosion and water quality issues that GPD needed to address in order to protect the Chagrin River downstream. The state and federal government were willing to contribute funding to the project because of the new recreational opportunities it would provide, and the exceptional natural resources that the property contains. Orchard Hills provides habitat for five bird species listed as rare by the state of Ohio (dark-eyed junco, Henslow’s sparrow, bobolink, brown creeper and Canada warbler), as well as state-threatened pale sedge and the Great Lakes Crayfish, an indicator of excellent stream water quality.